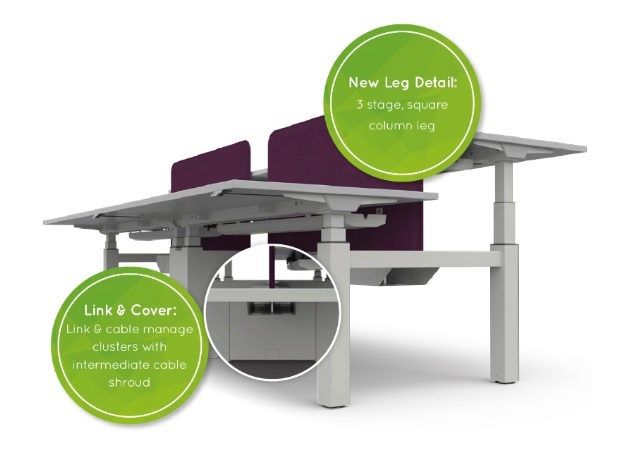 Claremont Centre launches its latest product in sit & stand technology – with these new features, the Sit & Stand 3S is brimming with sophistication and flexibility. We are delighted to present our latest offering of this popular and modern work surface. The simple concept, Sit & Stand. A versatile desk, built to last, elegant in form, flexible in function and now available as the 3S which comes with even more bells and whistles – and at a more affordable price than its predecessor. These desks contribute to creating great and agile places to work. They offer the flexibility to alter easily to suit individual styles and needs, and the inherent strength to withstand a long working life. Yet they remain stylish. Form has followed function to a degree where they enhance every space, compliment any environment, facilitate collaboration – and will do so for years to come. Our main goal as a business is to help our partners maintain margins on their projects by specifying our furniture. Sit & Stand 3S allows us to do this with advances in technology. 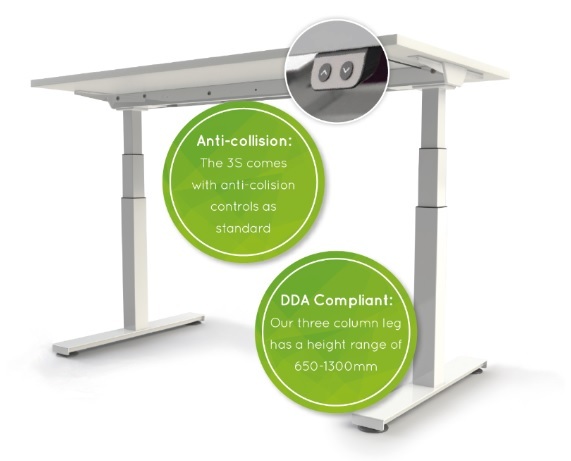 Now with built-in anti-collision as standard, the Sit & Stand 3S has a three-staged, square column leg which has a height range of 650mm – 1300mm. Creating clusters of Sit & Stand desks has just become more aesthetically pleasing with our new cable shrouds. And you can link two back-to-back desks together with ease, giving you intermediate cable management. 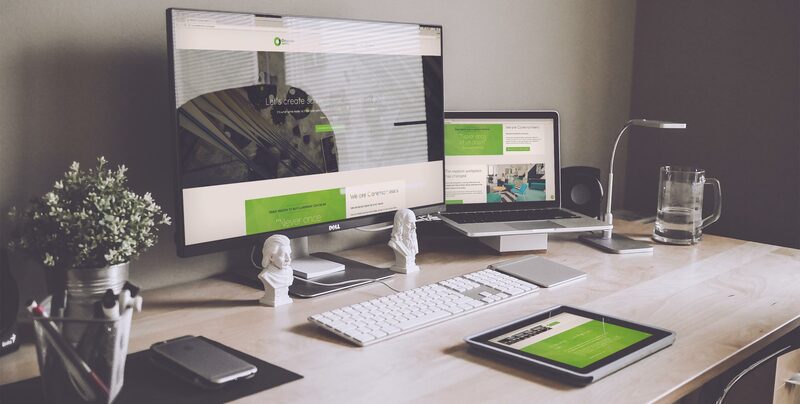 The Sit & Stand 3S is now available – get in touch with us today to place your orders.